Creative error 404 pages are the perfect way to make something annoying into something fun. 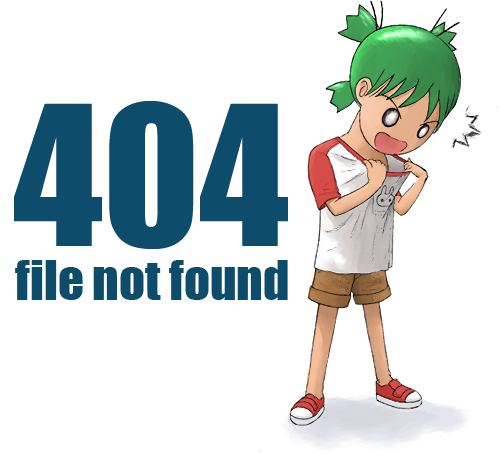 Error 404 pages are seen on websites when a page is not found. They’re created to let the user and webmaster know there is an error in the code or a broken link. We’ve picked out 3 creative error 404 pages, because not all error 404 pages have to be a letdown. In fact, if all websites had creative 404 pages, the visitors would probably stick around on the site for much longer. Magnt has a silly yet helpful error 404 page. They’ve created a Venn Diagram explaining what led you to that page. There are two options: either the website messed up, or you messed up. Either way, you’re on the 404 page. This is both funny and sassy. But looking past the Venn Diagram, Magnt has sitemaps and side bars you can click to get off this page and on to one that might help you. Blue Fountain Media probably has the best error 404 page on the Internet. Instead of immediately sending you to another page on the website, such as the homepage, they give you the option to stay and play PacMan. Yes, if you get to the 404 error page you can play PacMan on a board shaped like a 404. Blue Fountain Media turns an unfortunate incident into a fun one. Bret Victor’s Error 404 page is completely different from Blue Fountain Media and Magnt’s pages. In fact, it’s different from most 404 pages in general. Bret Victor has taken Rene Magritte’s painting The Treachery of Images (aka This is not a pipe), and turned it into “This is not a page.” Art-lovers will appreciate this. People trying to leave the page will not appreciate it however, since there are no directions on how to go back to the homepage. Keep these three creative error 404 pages in mind as you design your own website as well. Decide whether you want it to be funny, helpful, artistic, or something totally different. There are many possibilities for error 404 page designs.